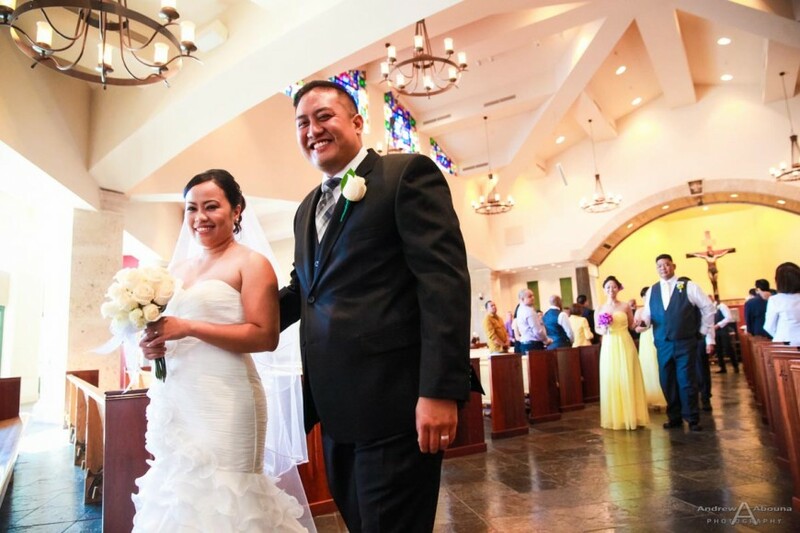 The Valley Center, California, St. Stephen Roman Catholic Church Wedding for Ritafe and Jeff was a bright, happy and wonderfully inviting occasion, and a delightful wedding photography venue for capturing the couple’s ceremony. 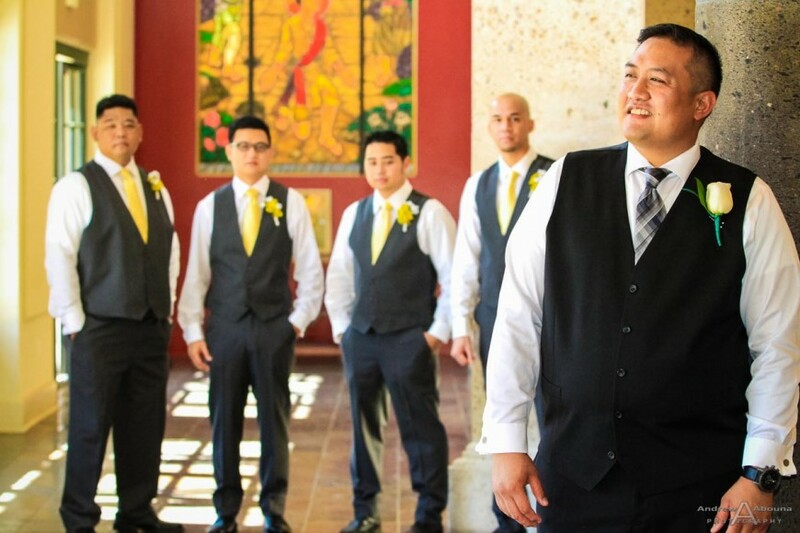 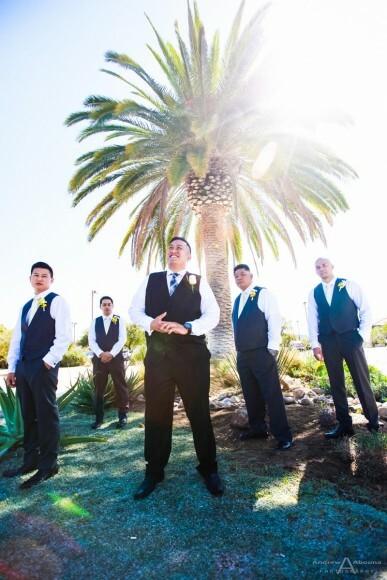 Their church wedding photography began with capturing shots of guests arriving, then some posed and fun shots with Jeff and his groomsmen outside and inside the church. 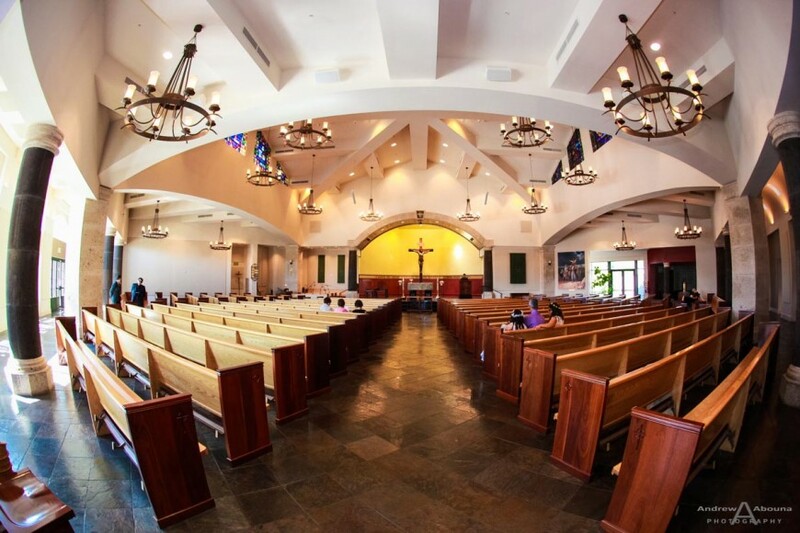 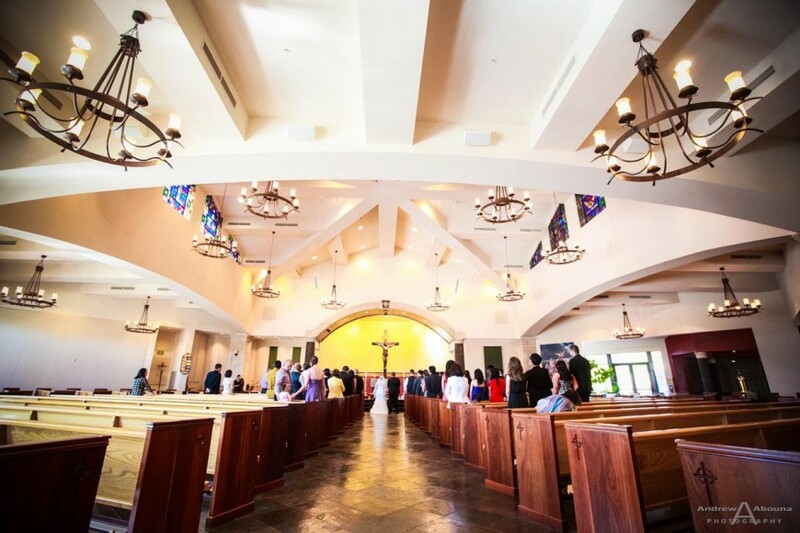 And like many church weddings, there was certainly wonderful architecture and features of the church’s that made for a lovely setting and accents to the couple’s wedding photography. 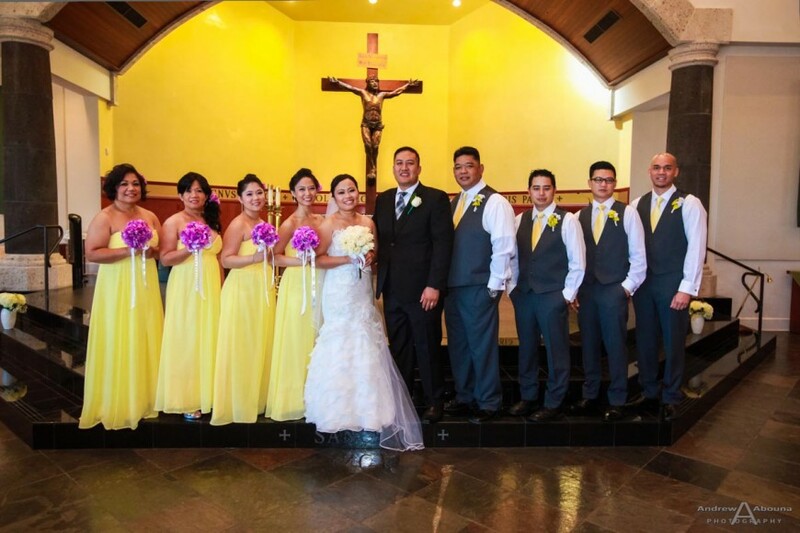 But more significantly, the church itself was captured in the wedding photos because of its importance to the couple. 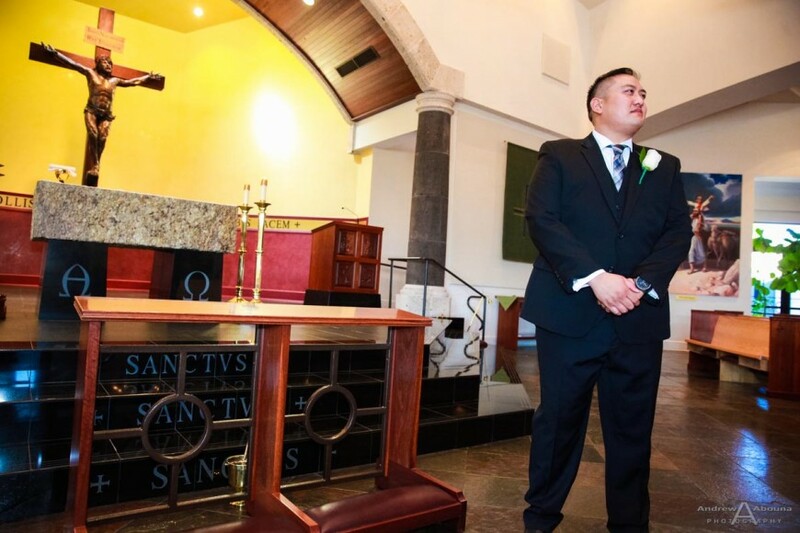 St Stephen Roman Catholic Church featured many nice elements that helped in both Jeff and Ritafe’s weddings photos, including the lovely wooden door shown in some of the photos on this page, and the interior natural lighting in one of the corridors where I captured some shots of the groom and groomsmen. 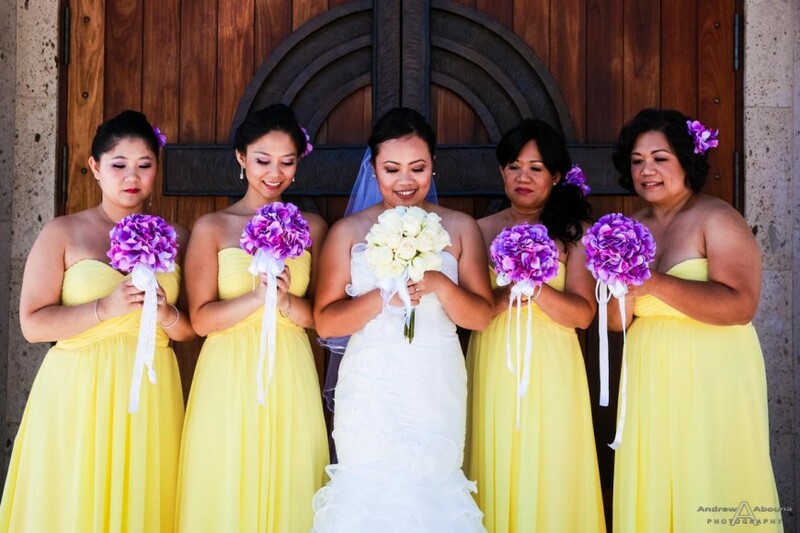 After photographing Jeff I had a few moments to spend with bride Ritafe and her bridesmaids for some creative wedding photography outside of the church. 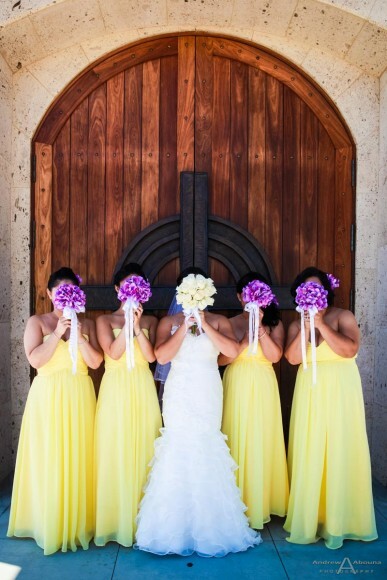 Together we all made some fun shots – because what wedding isn’t fun?! 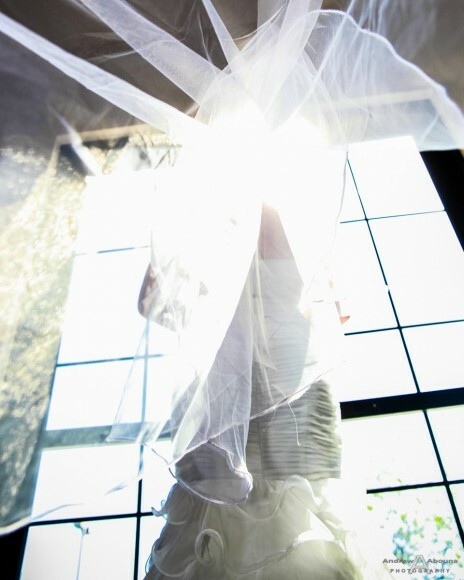 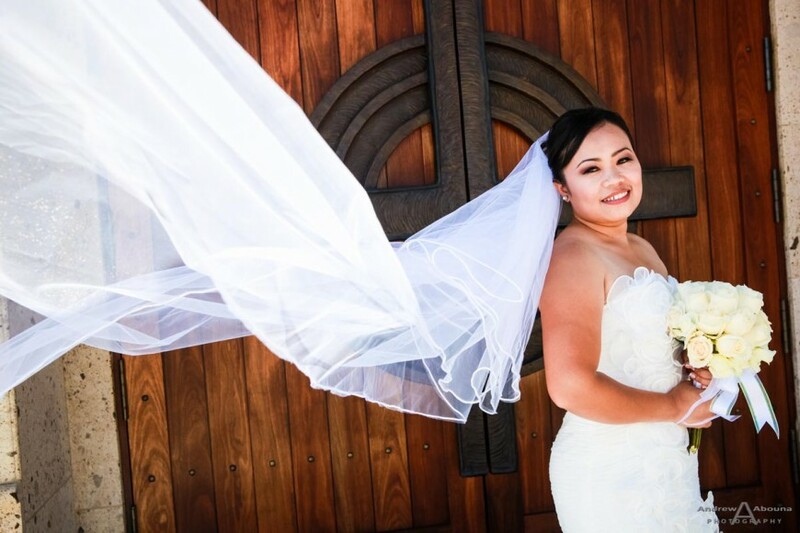 I also wanted to focus on making a short series of wedding photos with just Ritafe, taking advantage of the nice long length of her wedding veil. 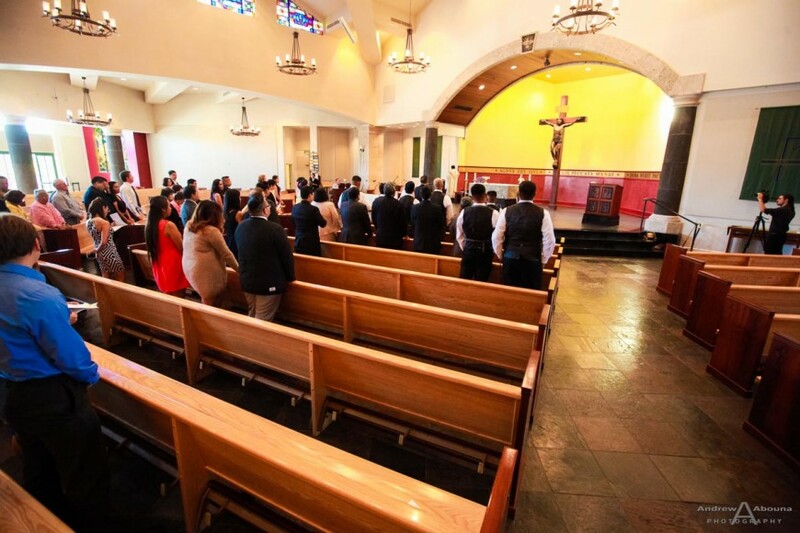 With their church wedding ceremony now about to being, and having by now also photographed all of the guests anxiously talking and getting seated in the church, it was time to shift gears into more photo-documentary type of wedding photos, with some create wedding shots sprinkled in of course. 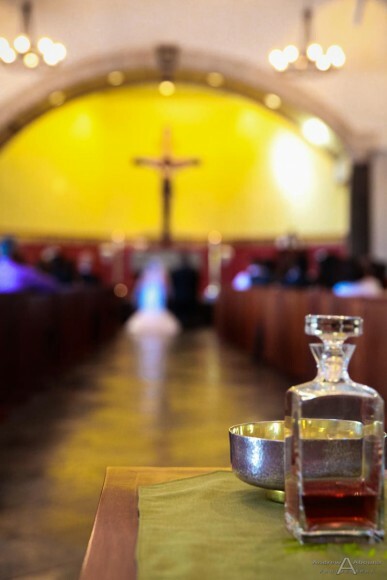 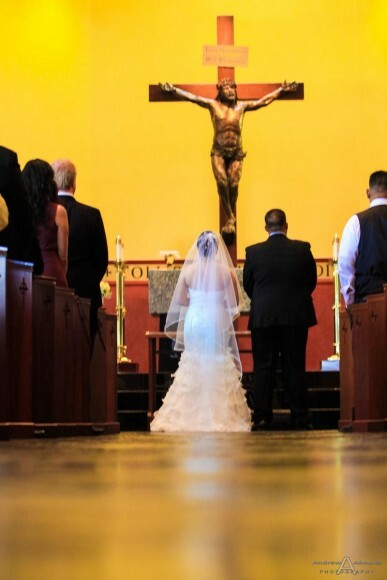 Nice and complete coverage of their church wedding was made possible because I was able to quietly move about during the hour-long ceremony, within the guidelines that Carla, of St Stephens, had kindly expressed to me. 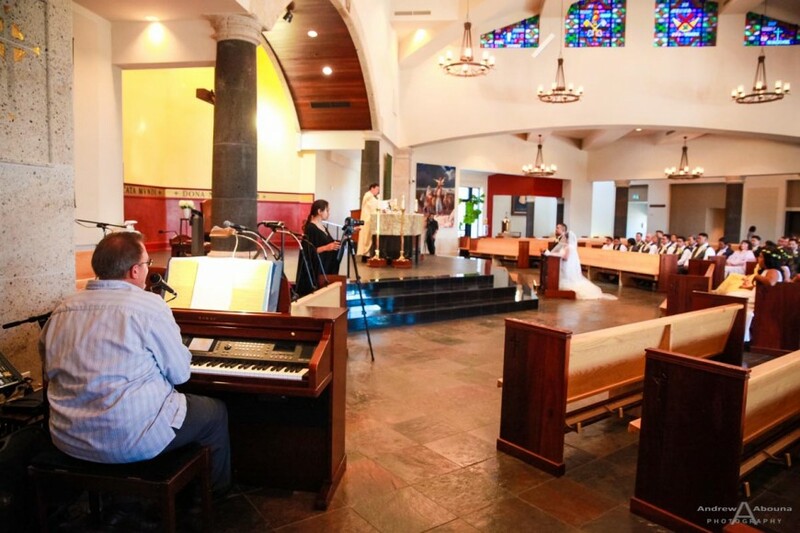 Nico and Blair of Agape Films were also on hand to video Ritafe and Jeff’s St Stephen Roman Catholic Church wedding, so I was mindful to work around the two video cameras the pair were using. 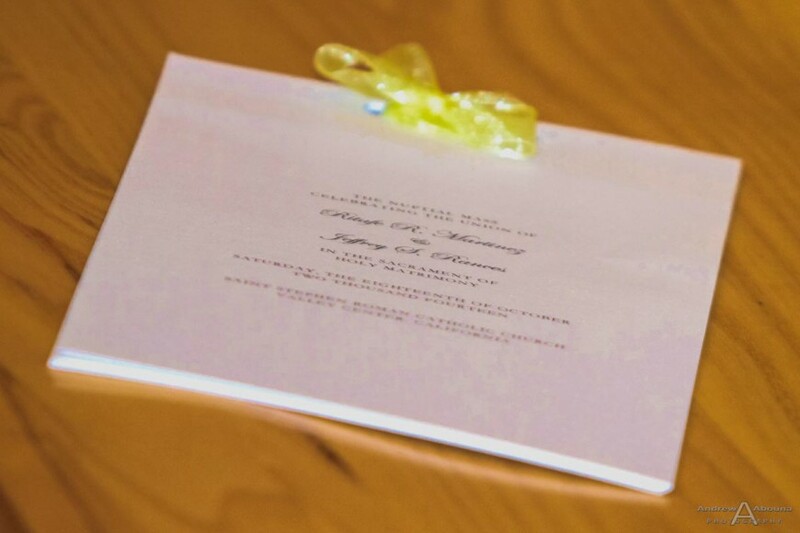 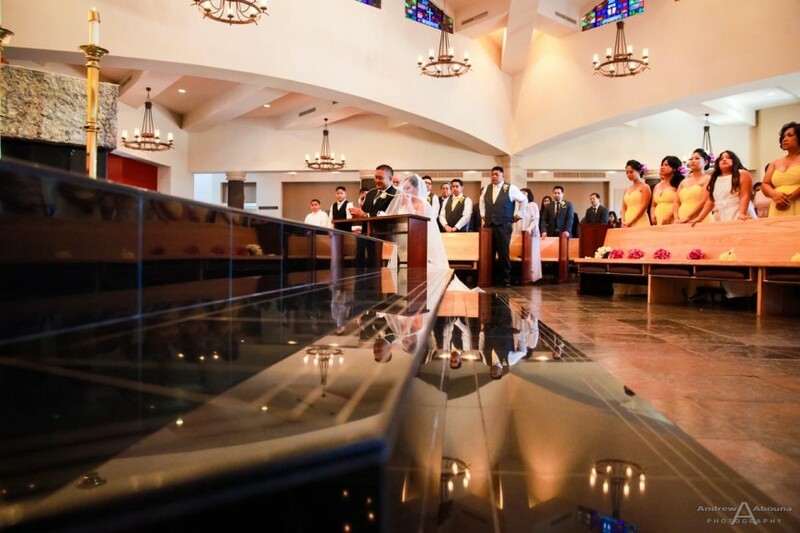 I really liked how Nico and Blair gave the same amount of respect to the church’s photography guidelines, and how they also moved about to get some great vantage points of Ritafe and Jeff’s wedding ceremony. 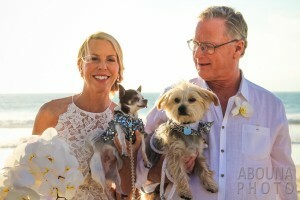 I’m sure their highlights video of the couple is going to look as great as their still wedding photos are on this page. 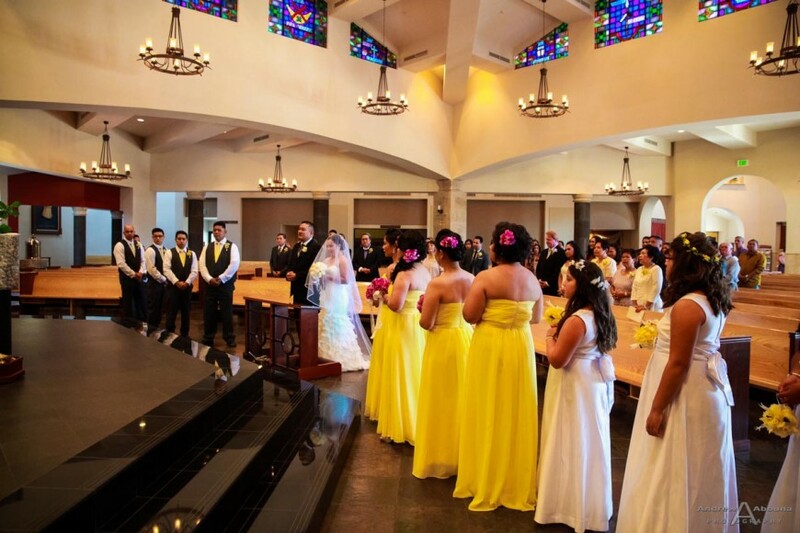 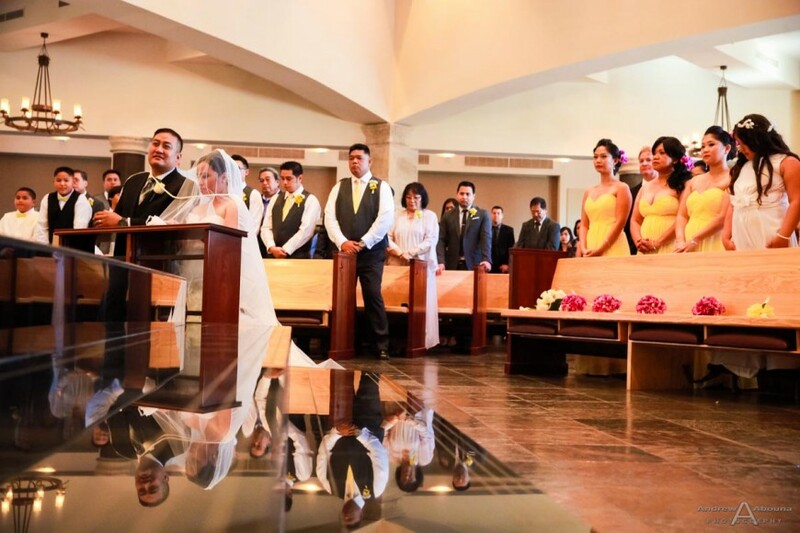 Ritafe and Jeff’s wedding ceremony had many of the nice traditions of a Roman Catholic church wedding. 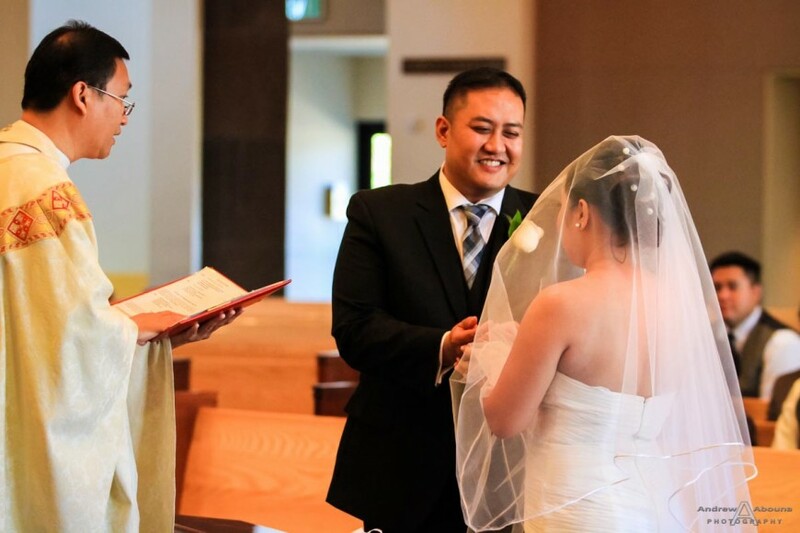 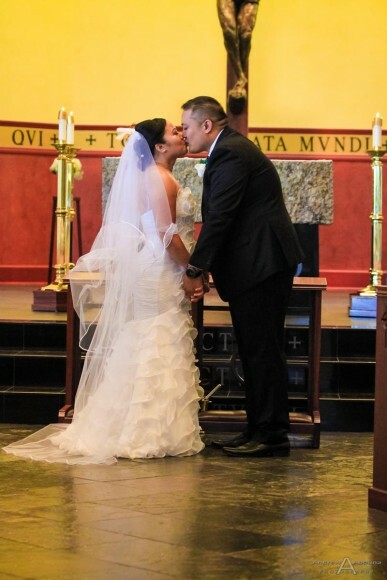 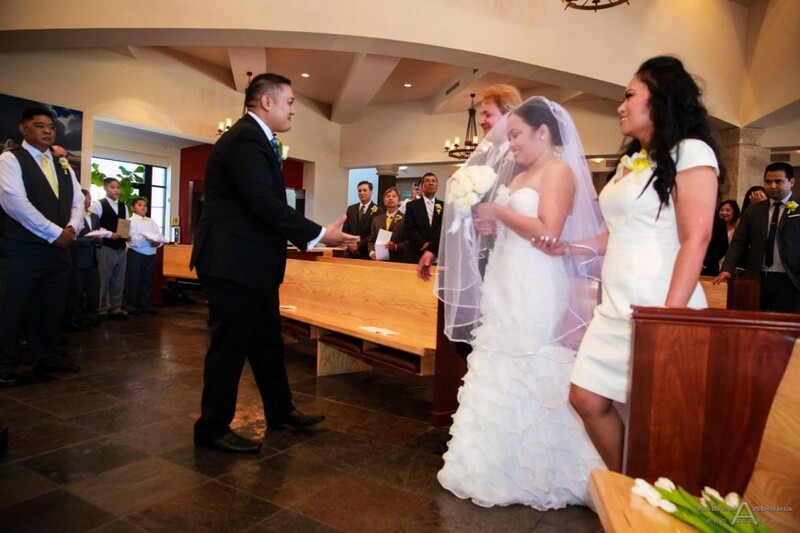 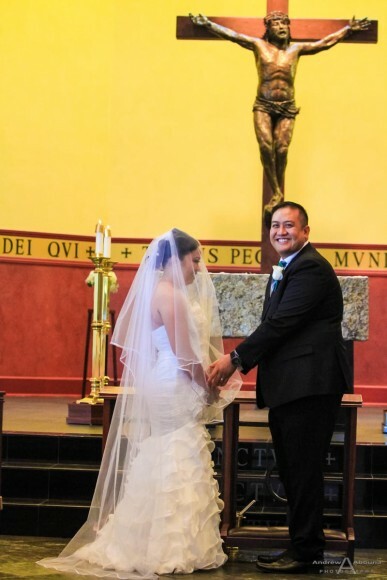 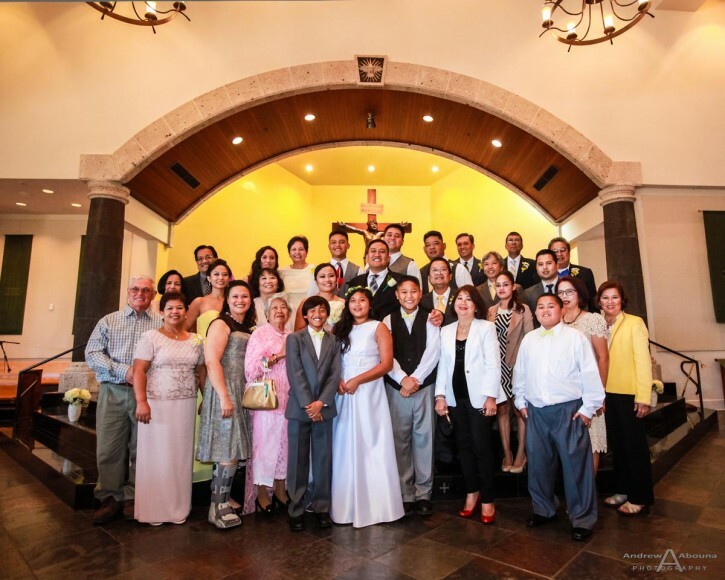 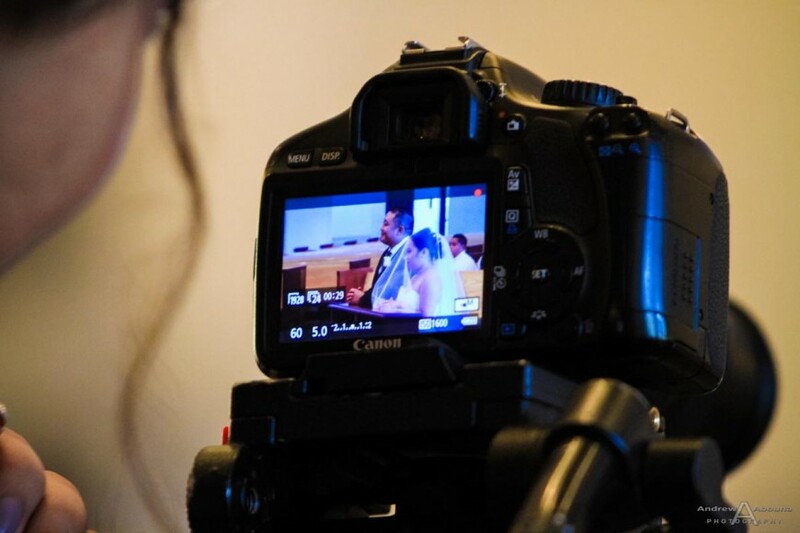 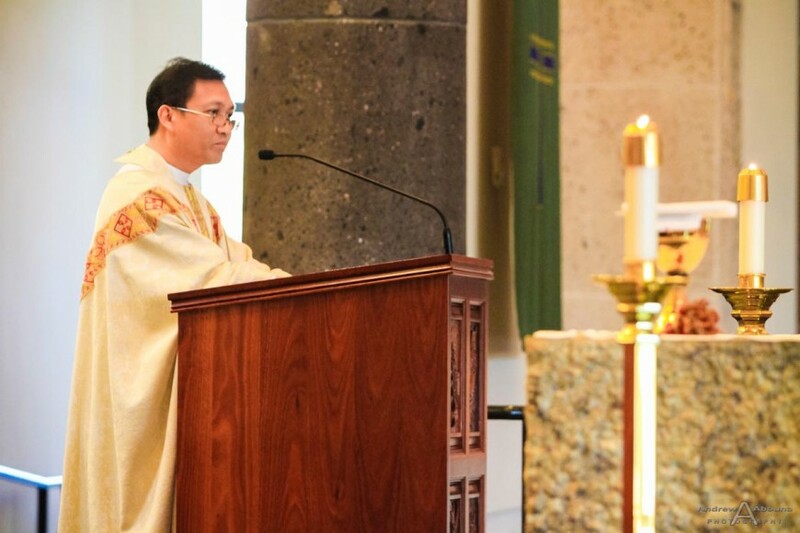 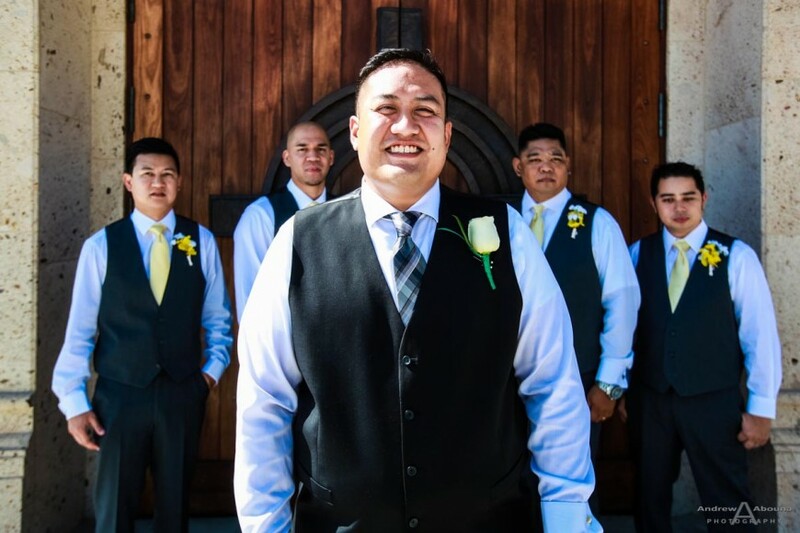 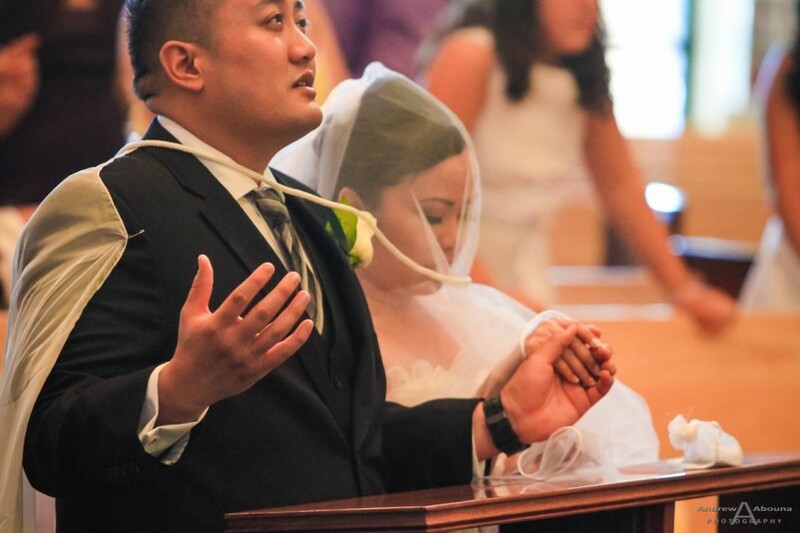 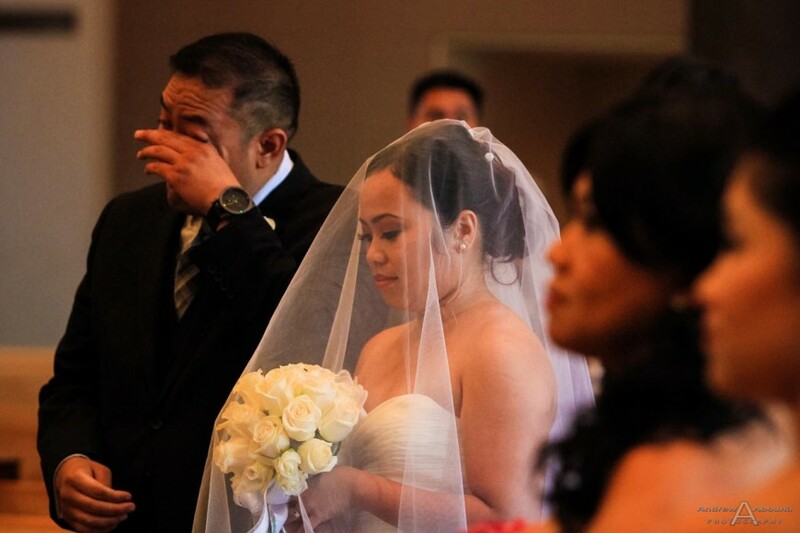 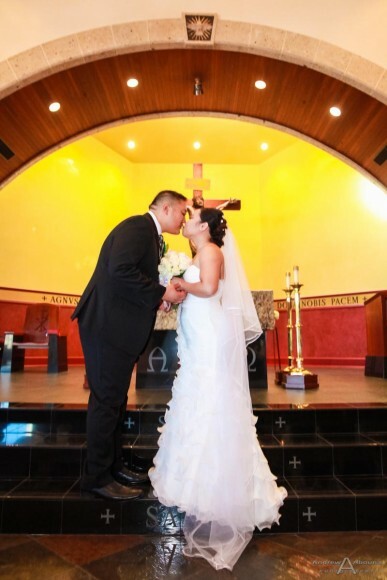 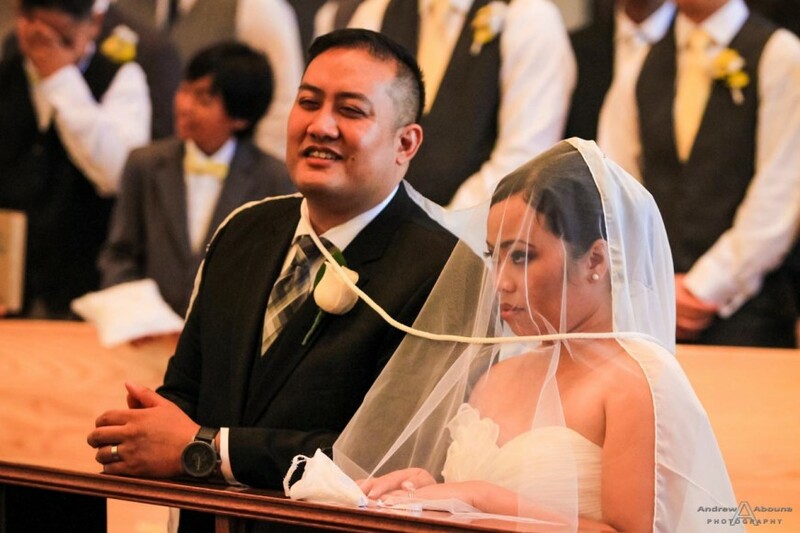 Father Elmer Mandac delivered a wonderful ceremony, and the couple’s family participated in speaking, communion, and the various traditions as you can see in some in this article showing some of my wedding photographer favorite photos. 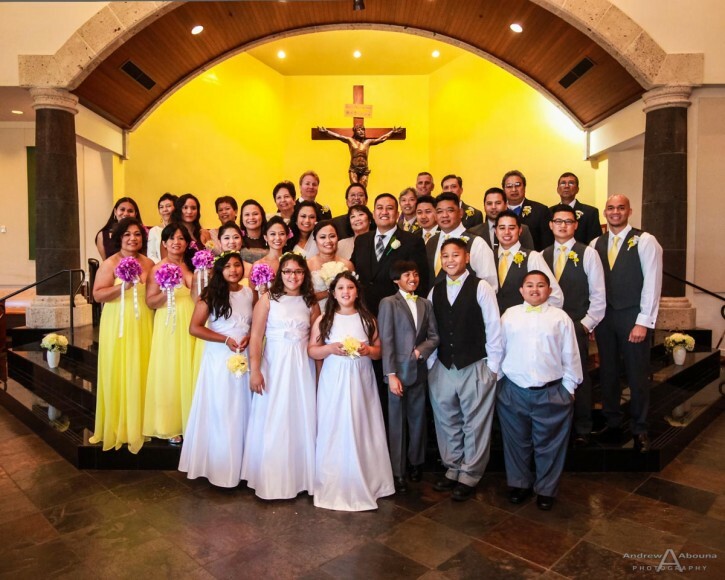 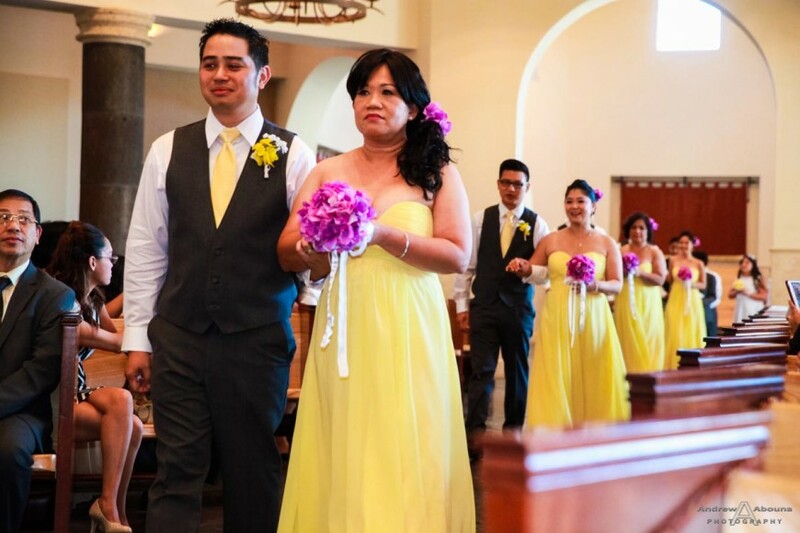 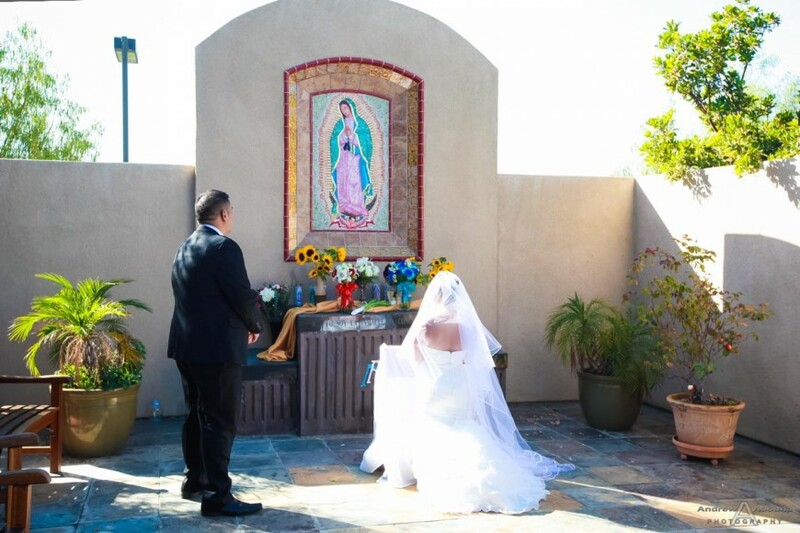 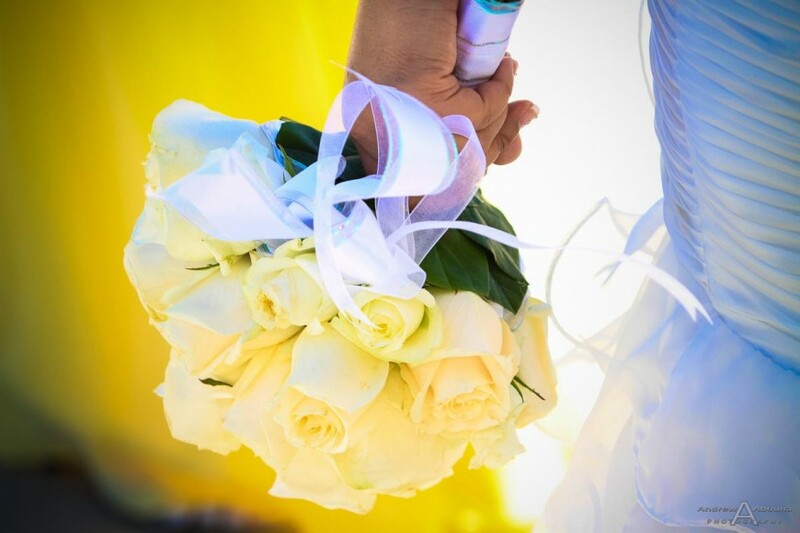 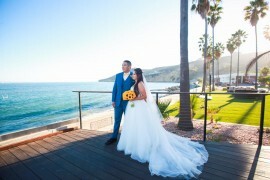 Be sure to see the complete collection of Ritafe and Jeff St Stephen Roman Catholic Church wedding photos at my San Diego Wedding Photographer Client Galleries (password required). 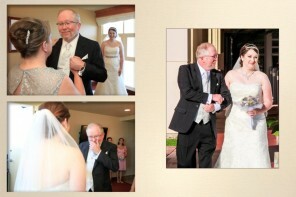 And also take a look at their golf club wedding reception photos as well.